Konbu Oct 31 2018 9:36 pm Please make Iryu Season 5. I will die without more Dr. Asada! GerrardJohor May 04 2018 12:43 am On May 2018 and I am still waiting for Iryu Season 5. Please make it happen ? GerrardJohor Dec 25 2017 11:23 am When will season 5 release? This drama is so good! Much love from Malaysia. Geneva Tutaki Oct 28 2017 3:18 am Just finished the series. You've got to make a season 5 please. Best show, best actors, best storyline, best plots and so realistic. Diverse range of characters too. Love it. txtlinda Apr 13 2016 10:39 pm This show reiterates why I always preferred Jdorama to K-dramas. The storyline, attention to details and intensity kept me engaged throughout the 4 seasons. Please continue to produce such good dramas! And yes, I want season 5!! おねがいします! marian Mar 21 2015 8:56 am A round of applause with standing ovation. Are Japanese shows really this good? 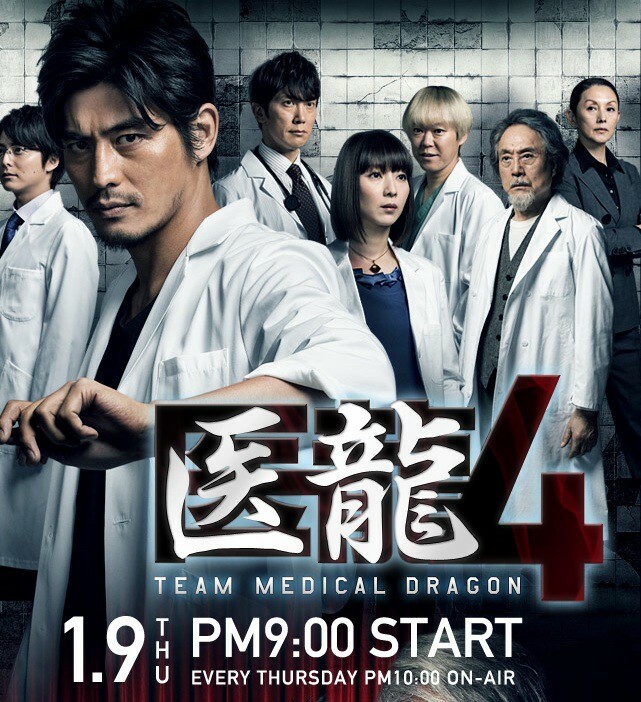 This is the first Japanese medical drama that I've watched and I'm impressed. What a superb and brilliant show. I wouldn't want to stop from season 1 to season 4; it's just so addicting. It has what I am looking for in a medical drama. Unlike in Korean medical dramas that focus on power struggle/drama/romance, this show is packed with operations with a little politics on the side. It's as if they're real doctors doing actual surgeries. Maybe they have devoted so much time and effort researching, practicing, and simulating surgeries; it's almost detailed with diagrams explaining a particular case and surgical procedure. Each operation gives you that tensed feeling. I never thought that the cariothoracic area of medicine is a very complicated and challenging but interesting subject. While watching, it will stimulate your thinking and imagination. I've learned a lot like procedures like Batista, Bentall, Ross, Konno, cardiac catheterization, piggyback heart transplantation, MIDCAB, David, onbeat surgery to name a few. Irish Feb 01 2015 6:14 pm I guess after the long awaited comeback of this drama, Iryu season 5 will be in process after seeing MIKI in the last episode..
cheno Mar 30 2014 8:03 am more season pleaseeee.... miki just come back in the last part >.< i want miki and asada more scene and noguchi, is he suicide? otakudesu26 Mar 05 2014 6:52 am FYI it Seasons 1-3 follows the mangas' plot though not in the same order of cases. I've finished it so so I know. Though some mature scenes and relationships were somewhat adjusted for viewers convenience. Mika was not really necessary for the latter part of the story since it tackles more on power within the hospital rather than their individual skills. kim mae Mar 02 2014 8:07 pm seems like miki is still not included in this season...i was wondering what happened to her.. I haven't watch any of its episodes, can somebody tell me thew plot this time?..can't find a site where i can watch this.. thanks! fantastic_mao Mar 01 2014 10:30 pm Wow. It's been years since I last watched season 2. Imma have to watch season 3 and 4 at the same time. Lol. Hopefully I don't die of confusion. Anyways, anyone else reads the manga. I'm a bit sadden that it doesn't follow the manga after season 1, because the manga goes more into depth about the politics in the medical system. Anyways, still good, I didn't know they still continued it and now I'm super happy. Time to take a break from my Kdrama for some Jdrama. Epol Jan 11 2014 11:06 am At last..I waiting for so long for this series..Asada sensei is back..huhu..